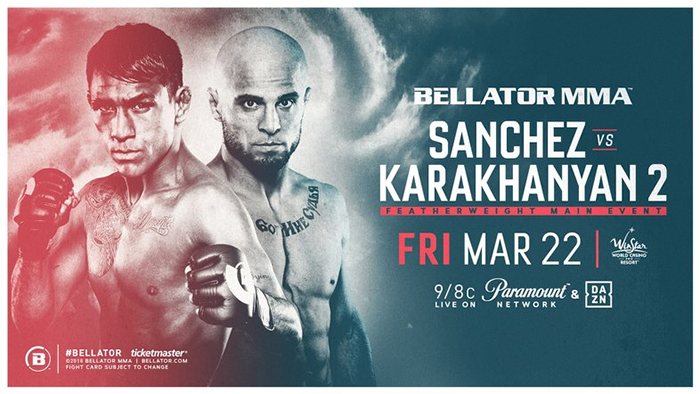 Bellator 218: Sanchez vs. Karakhanyan 2 is a mixed martial arts event to take place March 22, 2019 at WinStar World Casino in Thackerville, Oklahoma, United States. 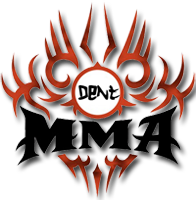 The event was expected to feature a featherweight bout between Emmanuel Sanchez and Ashleigh Grimshaw. However, the promotion announced that March 8 that Georgi Karakhanyan replaced Grimshaw due to undisclosed reasons. The two previous met at Bellator 170 where Sanchez won by a close decision.